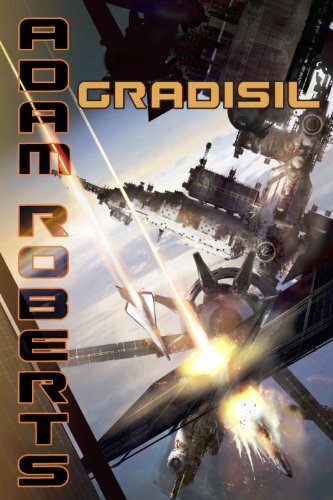 Gradisil is an epic space opera of family revenge and the birth of a nation. Not very long from now, if you are wealthy, space can be yours, space to grow. New technology has seeded a rebirth of the pioneer spirit. A new breed of adventurer has slipped the bonds of gravity and begun a fresh life in orbit, free from interference by government, free from the petty concerns of earth. Who wouldn’t want such freedom? Who wouldn’t want to escape from society’s tangles — from the claws of the corporations, from the stifling love of family? But tradition, fear, and revenge carry a murderous weight, a gravity that is not so easy to escape. The death of Gradisil’s grandfather, floating high in the uplands above earth, was only the beginning. And now the US government is looking up at the new nation above our heads with jealous eyes.